Expectations are building up that China's central bank will continue announcing further easing actions. But it's not what the PBoC is saying that matters to the economy as much as what's actually going on in the short-term rates markets. And short-term rates continue to fall. This is a form of easing without the central bank announcements. 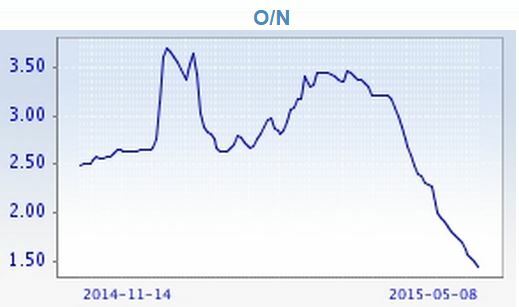 Here is the 7-day repo rate - a fairly liquid short-term secured lending market in China. Note that even the 1-year SHIBOR, to the extent it represents an actual lending rate, is falling (though remains elevated relative to inflation). 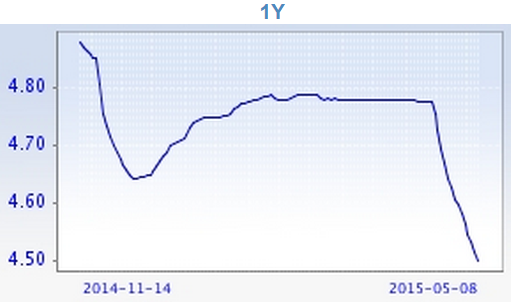 China's rates continue to decline and the PBoC will support this trend - with or without policy announcements. 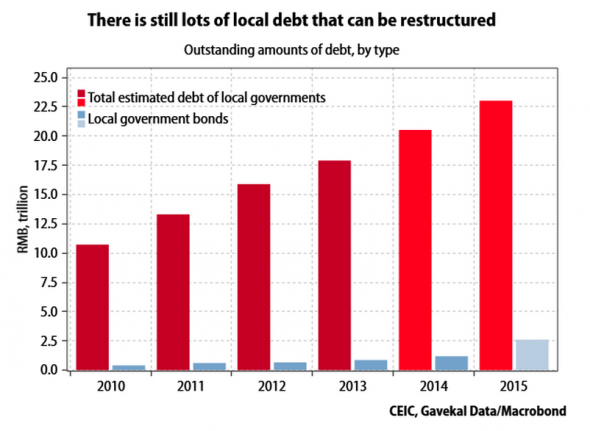 On a related note, one of the reasons China needs to lower interest rates is to help the nation's strapped municipalities refinance their debt. Currently a great deal of the debt is structured using off balance sheet bank products and Beijing's goal is to shift to the muni market. That process however will take some time.